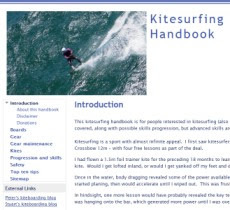 You can buying some good gear for kitesurfing from our online store and help support this blog and our Kitesurfing Handbook. We only sell selected gear that we use and recommend. We also provide you with some information about the products. I use and recommend Contour Roam action cameras. They can be mounted on a helmet, your board, your kitelines or your kite. You can also help support my blog by clicking on this link.